A new 'my account' section will include graphic overviews, offering features for P/L, returns and bookings. Saxo Bank has once again expanded the functionality of its flagship platform, SaxoTraderGO, this time adding new tools and account functions. The new features focus on trading performance and improved portfolio management for a global client base. Since launching back in mid-2015, SaxoTraderGO has developed into the group’s marquee trading platform, supporting a range of asset classes and instruments. Boasting an open API, the platform has since kindled continuous updates and expanded features over its two-year lifespan. 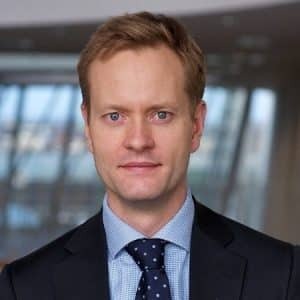 The Danish multi-asset broker has already been repeatedly upgrading SaxoTraderGO in 2017, with the most recent portfolio management tools reflecting its commitment to transparency and ease of use. Its latest efforts build on multiple other updates this year, including new capabilities for view-only users and profile viewing, among others. October’s upgrade will affect account functions and extend to the platform’s global client base over the duration of the month. More specifically, this entails a series of graphic overviews that illustrate how account values, profit/loss, returns and bookings change over a selected time period. Additionally, the upgrade will provide a detailed graphic representation of a client’s current and historic portfolio allocations in tandem with exposures to different asset classes and currencies. Clients trading on Saxo Bank A/S will see the new features immediately, while the group’s other entities will go live with the features over the next week. Collectively, the features enable clients to better track their overall performance over time. In conjunction with improved education for users, Saxo Bank has continually emphasized this area in recent months. “We have carefully listened to the demand for tools that can help clients analyse their own performance, detect strengths and weaknesses within their portfolios and identify possible pitfalls. We are proud to launch the new My Account section to bolsters our clients’ analytical capabilities,” explained Martin Christiansen, Platform Manager for My Account at Saxo Bank.